Misty Mamas, (formerly Misty River) together since 2007, have become a very popular band in the Portland/Vancouver acoustic music scene. 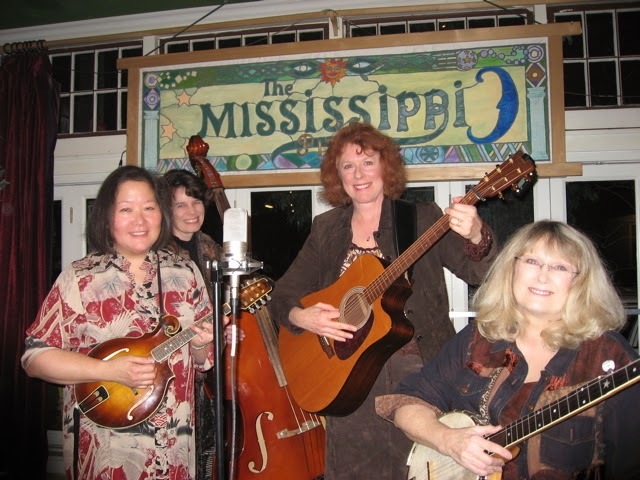 Misty Mamas serve up Home-Style bluegrass filled with powerful harmonies, traditional and original songs, as well as tasty instrumentals combining the American genres of bluegrass, old time, gospel, folk and country music. Family friendly, the band can include interactive songs that engage the younger set. Eager to connect with their audience, the Misty Mamas tailor performances that not only entertain, but educate as well. You might hear historical secrets and local lore woven into the music. Timeless melodies and heartfelt lyrics are laced together creating a musical experience, rich with history, steeped in tradition and performed with character and exuberance! Misty Mamas include Carol Harley, Katherine Nitsch, April Parker, and Eileen Rocci. 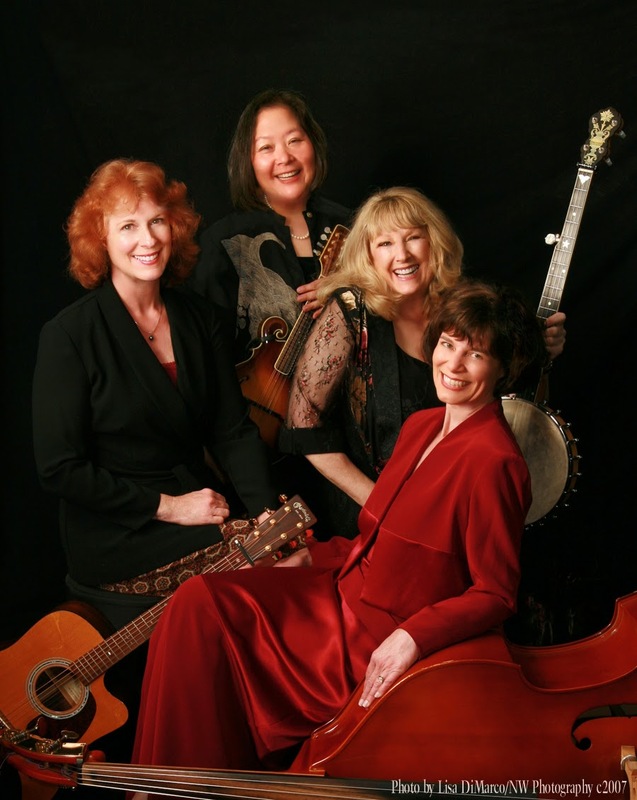 With decades of experience singing rich, tight harmonies, they also play a variety of instruments including guitar, banjo, mandolin, ukulele, bass, accordion, and upright acoustic bass. "don't listen until you are ready to fall in love." Katie Naylor. "I love songs that create word images and evoke real feelings, and I especially appreciate fantastic, true to pitch harmonies that tell those stories..."
Contact Nancy soon for "Quote and Availability"